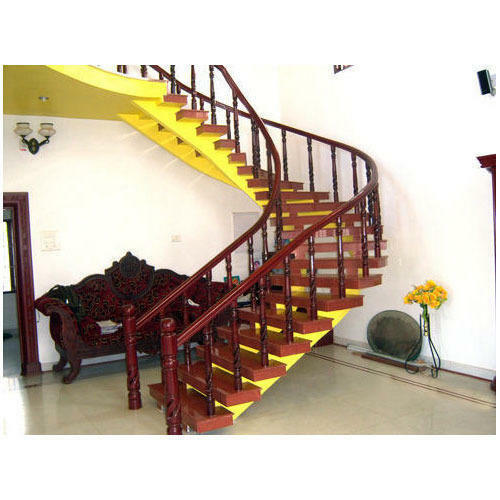 Our company holds immense experience in this domain and is involved in offering wide assortment of Teak Wood Staircase. Incorporated in the year 2014, Mithra Fabrications & Engineering India Pvt Ltd is one of the most reputed companies in the entire market. The head quarter of our business is situated in Coimbatore, Tamil Nadu (India). We are the leading manufacturer of this domain, engaged in offering a wide range of Laboratory Furniture, Metal Staircase, Glass Railing, Metal Gate and many more. We assure to provide these products in given time frame. We are also providing Fabrication Service.